Now that we’ve really had our first snow up here in New England, the time has come to swap out our 3-season trekking pole baskets for winter ones. 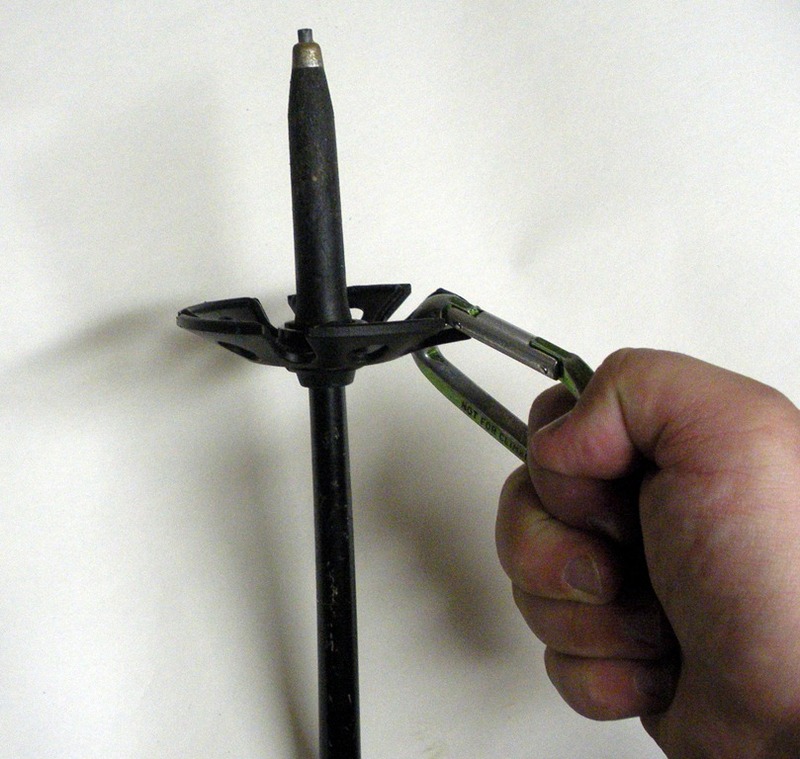 If you do not do this, then you’re wasting resources and money with an additional set of poles for winter. Most trekking poles have the ability to change out the baskets. Normally, for the rest of the year when snow is not on the ground, my trusty Komperdell poles use a slimmer basket, as shown in the image on the right. This is technically considered a “summer basket”. They are smaller than winter baskets, and are solid, to make sure your pole has something to stop it from going down into the mud or soft sand along the trail. In winter, however, if you are travelling over snow, it helps to have a different style of basket, one that is larger, and will help your trekking pole “float” over the snow, and not go 3 feet down into the snow with each step. The basket pictured on the left here is a winter basket. The easiest way to tell them apart, is if it looks like a snowflake, its for the snow. I recently received my new set of snow baskets for my Komperdell poles, and came up with a nifty trick for getting these on that I’d like to share. If you’re like me, you have an excess of carabiners lying around. Since my poles are no longer made, I had to buy a set from a newer model. The fit is almost exactly the same, but, a little different. My poles are also extremely loved and used, so it is not quite a factory fit anymore. The trick is to get the basket over the 2 notches on either side, and, if you have trouble twisting it, hook a carabiner through one of the holes in the basket, grab the lower staff (so it will not twist), and then give it a good hearty tug, and the basket should snap into place. 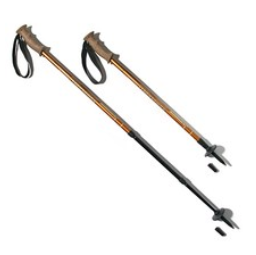 The set of trekking poles I used are Komperdell Savannahs. They are no longer made, but I love these things! I received them as a Christmas gift from my mother-in-law about 8 years ago, and have been using them ever since. Being able to keep my same set of poles for a longer period of time and prolonging their use is of great importance to me. I hope they never fail! An added benefit, if you have kids, you can shrink the poles down to their smallest setting, and it works wonders. My son loves to have a trekking pole just like daddy. This entry was posted in Backpacking, Gear, Hiking, Winter and tagged Backpacking, basket, baskets, gear, Hike, Hiking, kids, trekking poles, Winter. Bookmark the permalink.